With all the hoo-hah in Washington about the battle of ideologies — conservative vs. liberal — I am wondering about the fate of the debate over term limits. In 1994, Republicans led by U.S. Rep. Newt Gingrich of Georgia, campaigned successfully on the Contract With America platform that included a silly proposition: to limit the terms of members of Congress. Voters seemed to buy into the notion that we ought to place mandatory limits on the time House members and senators can serve. After all, we limit the president to two elected terms, thanks to the 22nd Amendment. Why not demand the same thing of Congress members? Well, the idea hasn’t gone anywhere. It requires an amendment to the Constitution. Referring an amendment to the states for their ratification requires a two-thirds vote in both congressional chambers. 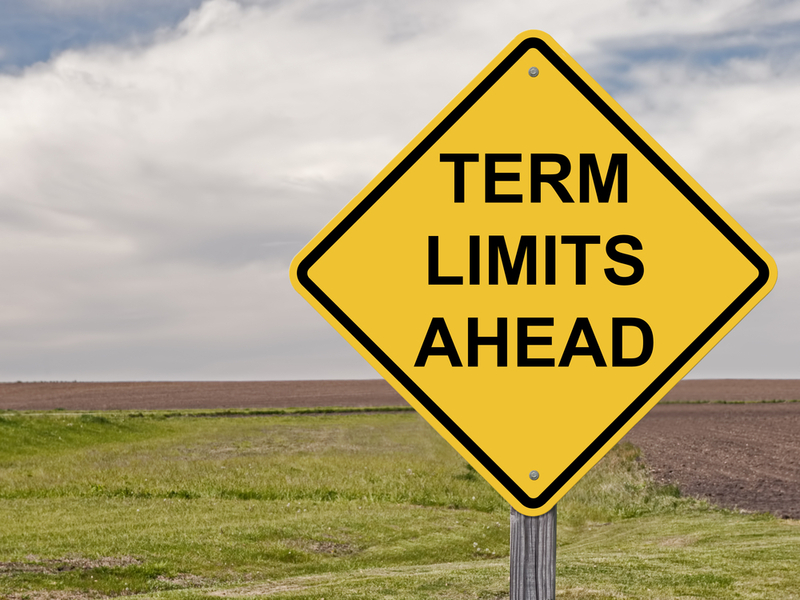 Term limits proposals haven’t made the grade. I don’t favor mandatory limits. Indeed, there has been a significant churn of House members and senators already without the mandated limits. 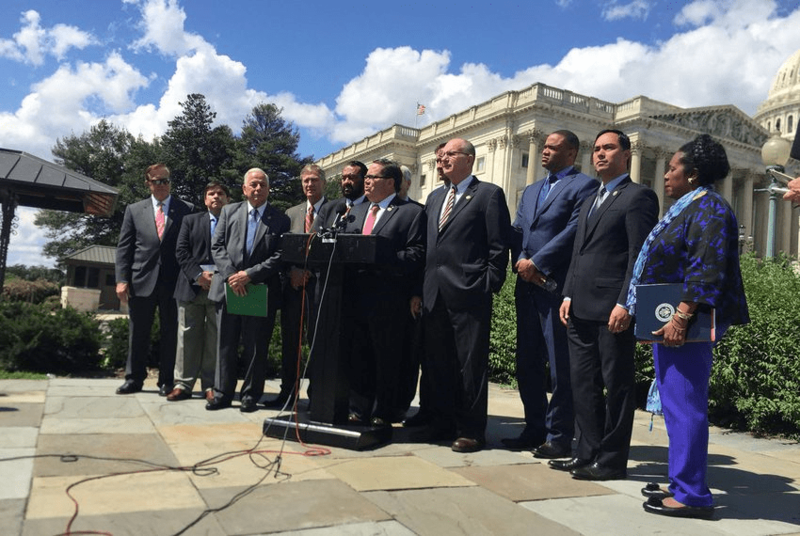 The new Congress comprises roughly a membership that includes roughly 25 percent of first-time officeholders. That ain’t bad, man! Sure, there are deep-rooted incumbents from both parties who make legislating their life’s calling. However, I only can refer back to their constituents: If these lawmakers are doing a poor job, their constituents have it within their power to boot them out; if the constituents are happy with their lawmakers’ performance, they are entitled to keep them on the job. Of course, we don’t hear much from the nation’s Republican in Chief, the president of the United States, about term limits. He’s too busy “making America great again” and fighting for The Wall. He can’t be bothered with anything as mundane and pedestrian as establishing limits for the amount of time lawmakers can serve. But where are the GOP fire starters? Have they lost their interest? Or their nerve? I’m fine with the idea remaining dormant. Just wondering whether it’s died a much-needed death. Jeff Flake’s demonstration of political courage almost made me rethink my long-standing opposition to term limits for members of Congress. Flake is a Republican member of the U.S. Senate Judiciary Committee that on Friday recommended the confirmation of Brett Kavanaugh to a seat on the Supreme Court. Flake is not running for re-election this year. Thus, his lame-duck status has enabled him to grow a pair of, um, stones that he otherwise likely wouldn’t have grown. You see, Flake — after announcing his decision to support Kavanaugh’s nomination — came back to the committee hearing room and asked that the Senate delay a full confirmation vote for a week to allow the FBI to do an additional investigation into some serious allegations leveled against Kavanaugh. Christine Blasey Ford has accused Kavanaugh of sexually assaulting her. They were teenagers when the even allegedly occurred. She presented a compelling case against Kavanaugh. 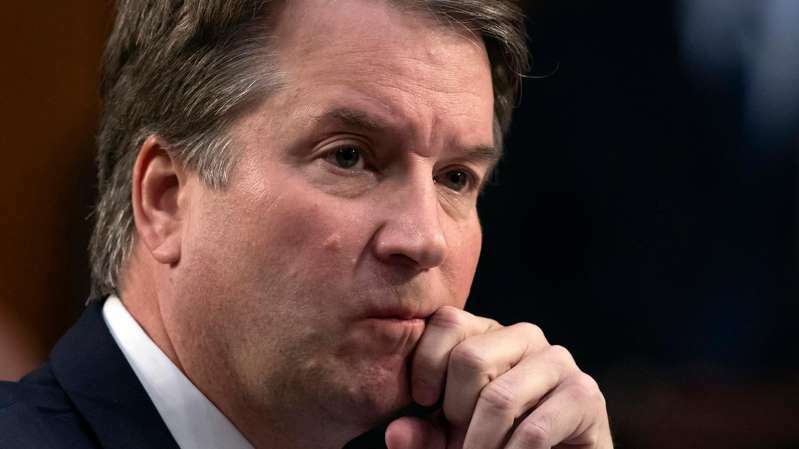 Ford persuaded me that her allegation is credible enough to disqualify Kavanaugh from obtaining this lifetime judicial appointment. Flake was cornered in a Capitol Building elevator by two women — sexual assault survivors, apparently — who demanded that he “listen” to the concerns of other victims. Flake responded by making his request of the Senate. The Senate agreed. The president then called on the FBI to conduct a limited probe into the allegations. It should take about a week or so to complete. I applaud Sen. Flake for his political courage, although the courage is watered down a bit by the fact that he isn’t facing Arizona voters this fall. He is free, therefore, to speak from his heart. He did so. If only other members of the Senate and the House of Representatives could demonstrate such guts when they have to face the voters as they seek re-election. Having said all that, I remain committed to the notion that voters in each state and House district have it within their power to boot out scoundrels at election time. Flake, though, must have emerged as a GOP hero in this ongoing — and terribly frustrating — political battle of wills. I feel compelled to offer a word about term limits and the notion that we ought to restrict the length of time people can serve in Congress. I’ll provide a name that suggests that we already have term limits: Alexandria Ocasio-Cortez. The 28-year-old New York City community activist knocked off a 10-term Democratic incumbent, Joe Crowley, in Tuesday’s primary election. Crowley was thought to be on the fast track to serious congressional leadership and power. He is now on a faster track toward private life. Why? He wasn’t doing the job to his constituents’ satisfaction. So they acted. With their votes. Crowley is a goner. Term limits? We’ve already got ’em, man! The calls for mandating term limits for members of the U.S. House and Senate have become a bit muted in recent years. That’s fine with me. I’ve never quite understood the notion of requiring public servants to step aside after a certain set time established through federal statute or constitutional amendment. The issue keeps recurring every so often. It well might again in the 2018 midterm election that will decide every one of 435 U.S. House seats and one-third of the seats in the 100-member U.S. Senate. I dug up a 2013 article in USA Today that noted that the 113th Congress was the most “inexperienced” in nearly two decades. As USA Today noted about that Congress: A confluence of factors — from a trio of wave elections, redistricting, divisive primaries to even death — kick off a 113th Congress populated by junior lawmakers in both chambers that challenges the conventional wisdom that Washington politics is dominated by entrenched incumbents. Nearly two in five lawmakers in the U.S. House, 39%, have served for less than three years, according to data compiled by the non-partisan Cook Political Report. It’s the least experienced House since at least 1995, when an election wave swept the Republicans into power. That was just four years ago. The turnover on Capitol Hill has continued at about the same pace. It brings to mind the Congress that took office in 1995. 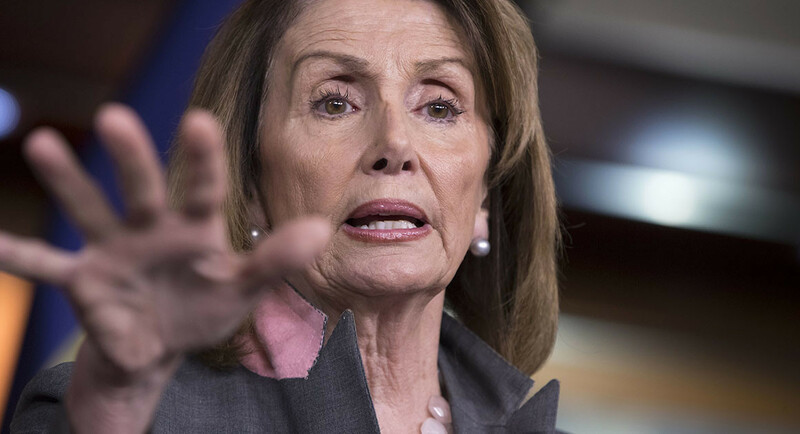 The election the previous year had swept out dozens of incumbents as the Republican insurgents took control of both legislative houses for the first time in 40 years. One of the upstart freshmen that year was a young self-described “recovering lawyer” named Mac Thornberry, who became the Texas Panhandle’s representative. Thornberry, a Clarendon Republican, is still in the House. He campaigned as a champion of the Contract With America, the GOP platform that pledged a lot of radical changes. One of them was mandated term limits. Thornberry never imposed any such limit on himself; he has voted in favor of every failed attempt to amend the U.S. Constitution to require term limits for members of Congress. Frankly, I’ve never faulted him for remaining in Congress all this time … even though I detest his general governing philosophy. Indeed, any member of Congress who does a lousy job or who doesn’t represent his constituents’ interests will hear from them on Election Day. The voters have the power to impose their own brand of term limits on their elected representatives. 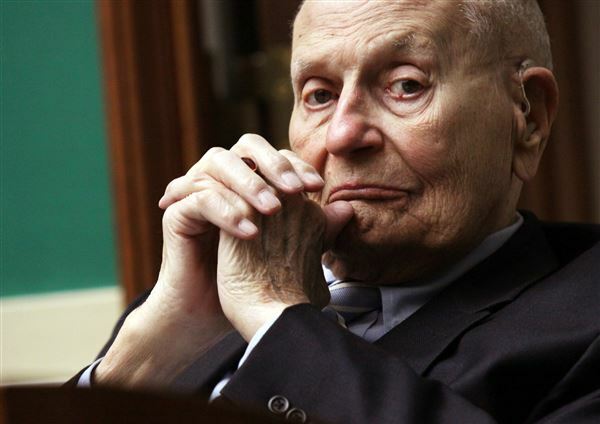 Moreover, is inexperience a good thing when it comes to running the federal government? Hmm. Let me think about that. Oh, yeah. We’ve got a political novice in the White House at this very moment. The president took office after spending his entire professional life seeking to fatten his financial portfolio. He had zero public service experience before taking office. He is learning a hard lesson that governing isn’t nearly the same as running a business empire. I believe, therefore, that government experience is vital. That darn Markwayne Mullin. 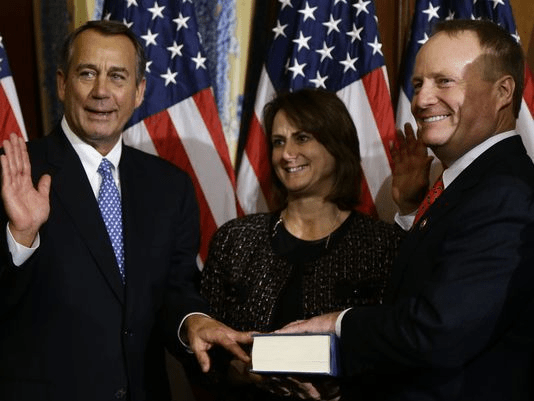 He said he’d serve just three terms in the U.S. House of Representatives and then bow out. So, what does the Oklahoma Republican do? He reneges on his pledge. He’s going to run for a fourth term. Term limits? Who needs ’em, right Rep. Mullin? Actually, since I don’t believe in mandated term limits, I’m not all that worked up about Mullin’s decision to try once again to be elected to his House seat. There’s a certain irony, though, attached to this announcement. One is that Mullin made a foolish pledge in the first place. 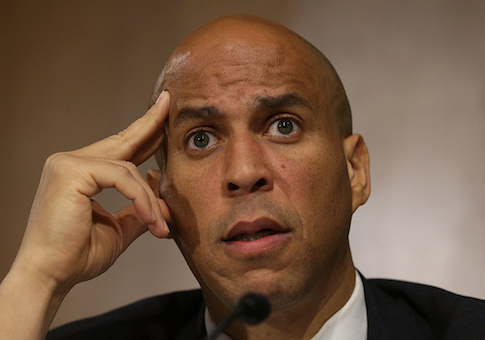 He says he was so frustrated serving in Congress during the Barack Obama administration that he now wants to serve during the time Donald Trump is president. He thinks he can get more done while Trump is president. The foolishness of the pledge reminds me of how many of the 1994 Contract With America class of congressmen and women promised to serve a limited number of terms. Some of them kept that pledge, others took it back. I think of former Rep. George Nethercutt of Washington state, who defeated House Speaker Tom Foley in arguably the biggest upset of the 1994 election. Nethercutt vowed to serve three terms and then he pulled it back. He eventually gave up his House seat to run unsuccessfully for the U.S. Senate from Washington; his broken promise became an issue and he lost that campaign. U.S. Rep. Mac Thornberry, from right here in the Texas Panhandle, also was elected that year. He has voted in favor of proposed constitutional amendments limiting lawmakers’ terms. He just never made the pledge for himself. He’s still in office — 22 years later! 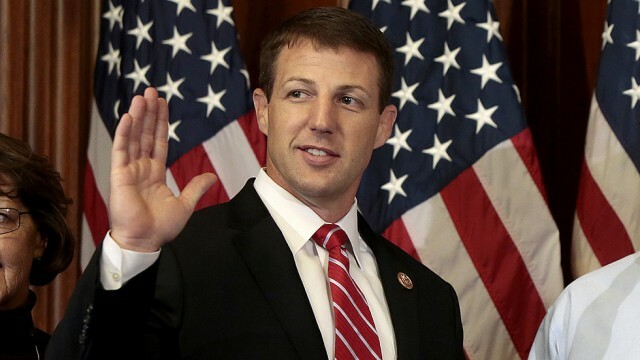 Back to Markwayne Mullin. This clown also declared during a town hall meeting earlier this year that the public doesn’t pay his salary. Huh? Yep. He said he pays his own way to serve in Congress. Umm. No, young man. Not true! The public pays your salary, your office staff’s salary, and all the perks associated with your office. Why, even I have a stake in your salary, even though I am not one of your constituents. So, my hunch is that the voters of his Oklahoma congressional district just might invoke their version of term limits — by kicking his rear end out of office next year. There might be a lesson here. Which is that certain campaign promises are not to be treated like something you can just toss out when you get a change of heart. 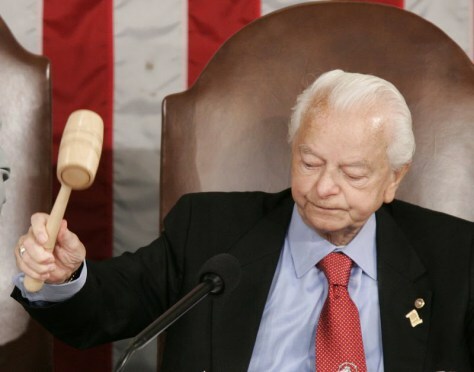 Where are all the tributes to Sen. Byrd? We drove through a good bit of West Virginia and all along the way I kept looking for signs of a legendary U.S. senator’s penchant for pork-barrel legislation. We saw barely a trace of it. I refer to the late Robert Byrd, the king of pork barrel spending. You know, of course, that the term “pork barrel” defines money dumped into legislation that is meant to benefit a legislator’s district or state. Byrd was the “best of the best” at funneling public money to his home state of West Virginia. I noted his pork-barrel proficiency in a previous blog post. As we motored along Interstate I-64, I kept waiting to see evidence of this or that bridge or stretch of highway named after Sen. Byrd. I found a bridge with the Byrd name attached to it in Charleston — which also honors another famous native son, a guy named Gen. Chuck Yeager, the man of the “Right Stuff” and supersonic flight. Oh, I’m sure there must be many myriad public buildings, parks, city streets and rural roads with Sen. Byrd’s name attached to them. He wasn’t bashful about his lust for luring money to his home state. What the heck. Why should he care? His constituents kept sending back to Washington to do precisely what he did.